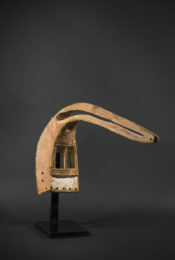 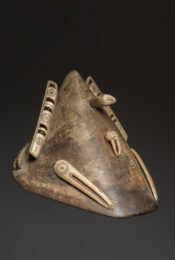 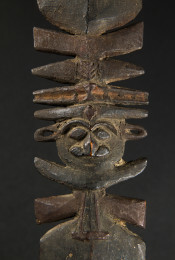 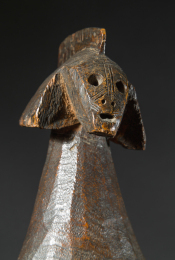 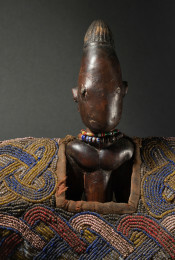 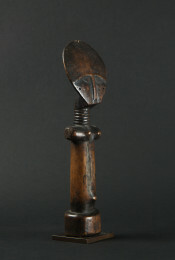 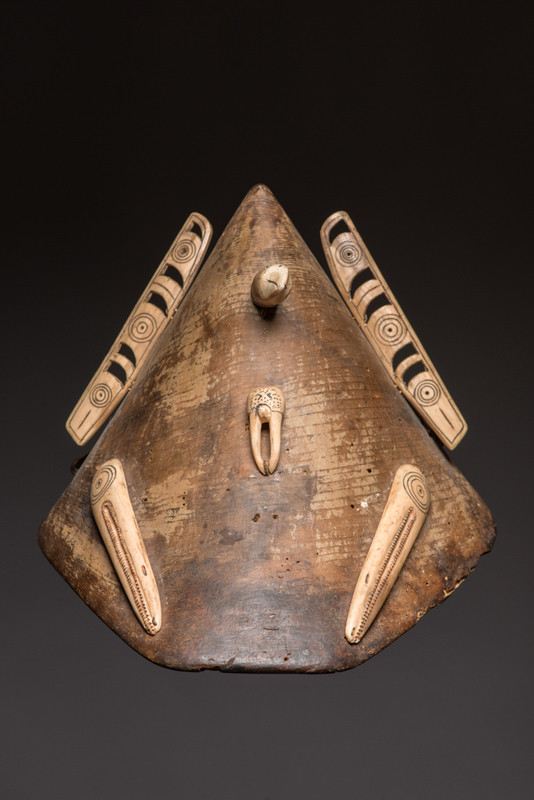 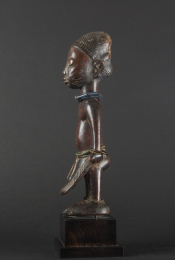 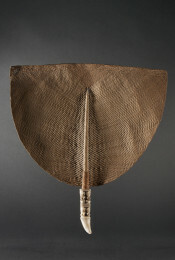 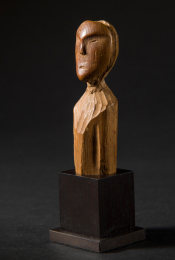 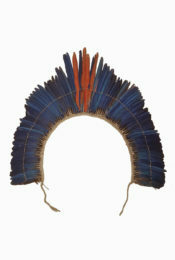 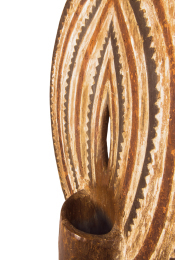 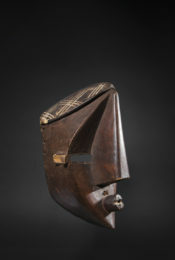 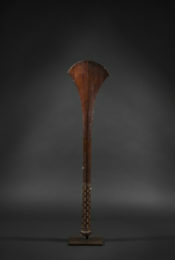 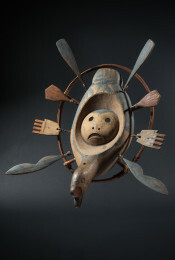 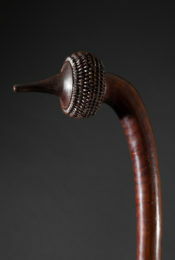 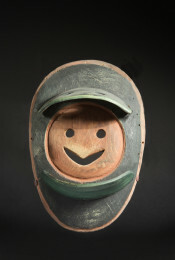 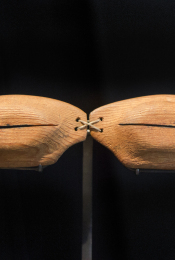 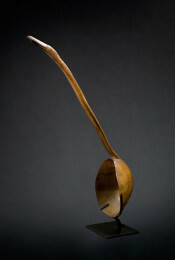 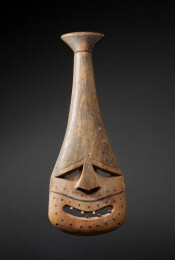 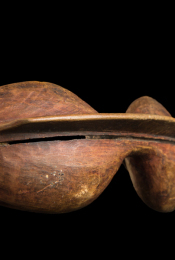 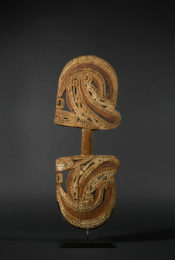 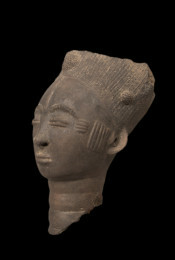 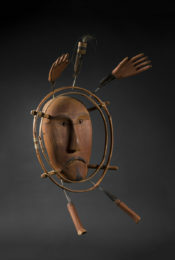 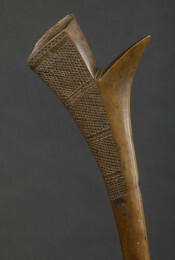 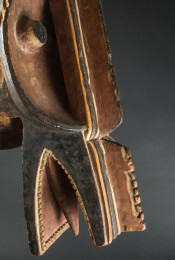 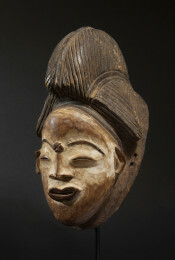 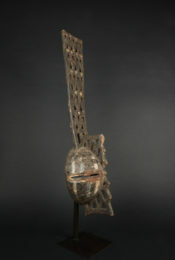 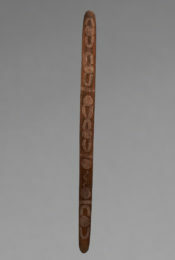 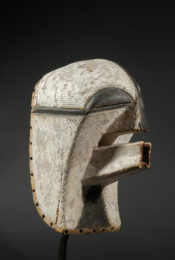 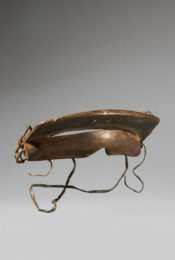 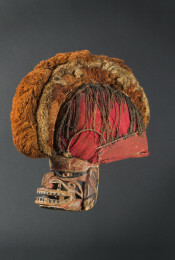 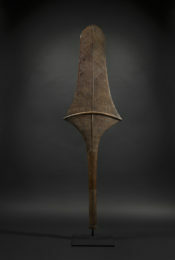 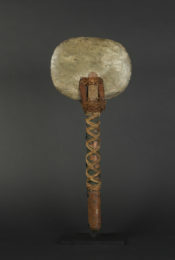 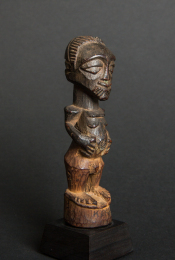 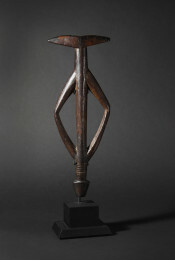 This conically shaped, bentwood hunting hat, embellished with carved amulets is an exceedingly rare head ornament from the region of Norton Sound in Alaska dating from the mid 19th century. 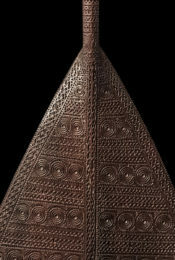 These hats had a protective function, shielding the wearer from the sun’s rays and their reverberations on the surface of the water. 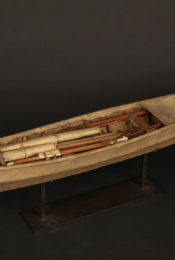 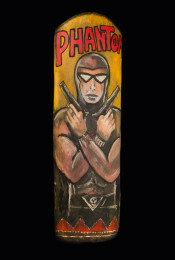 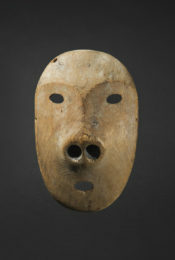 They also hid the faces of the hunters in the kayaks so as not to awaken the distrust of their prey. 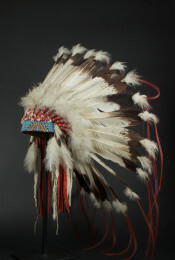 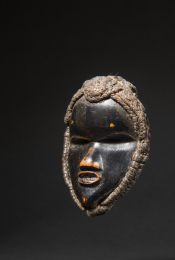 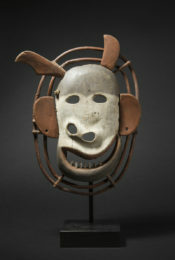 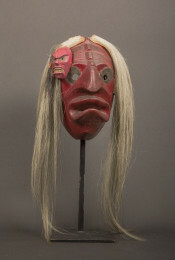 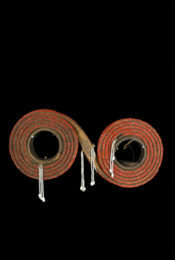 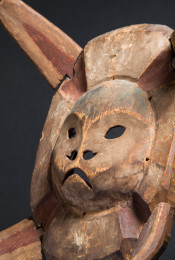 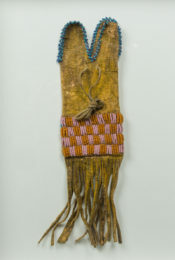 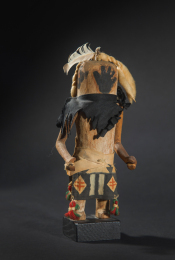 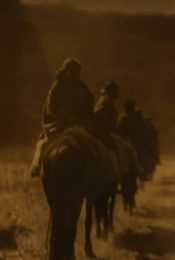 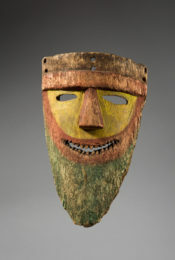 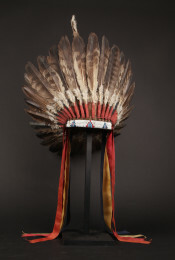 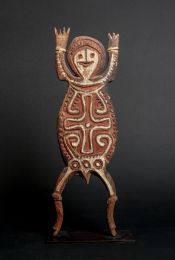 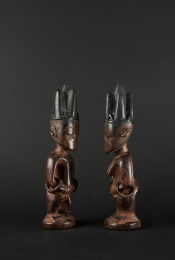 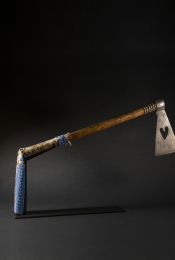 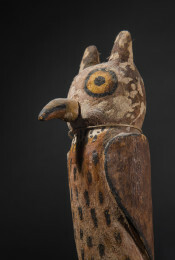 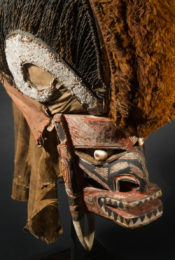 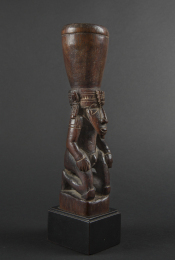 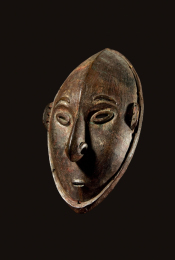 But they also played an important shamanic role: the wearers put themselves under the protection of the spirit-helpers so that the latter could ensure a successful hunt. 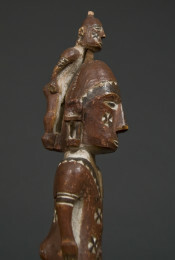 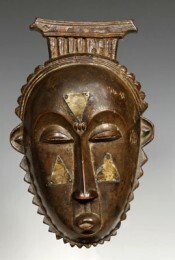 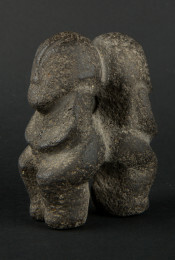 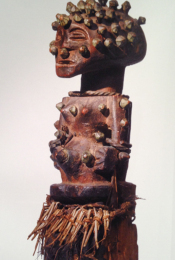 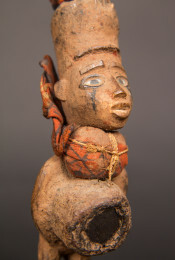 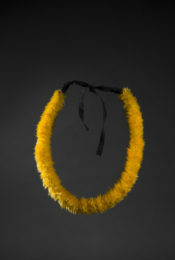 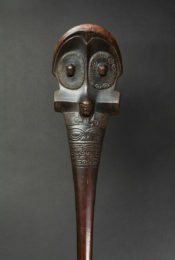 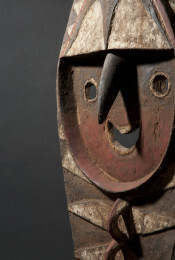 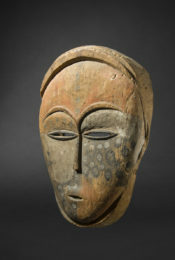 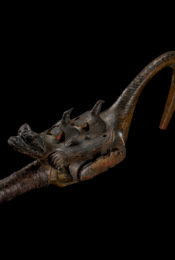 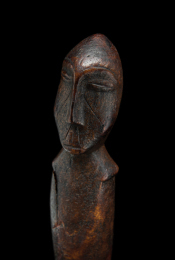 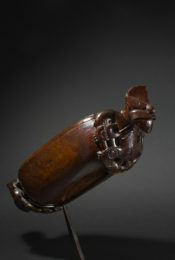 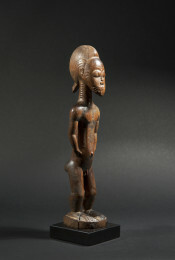 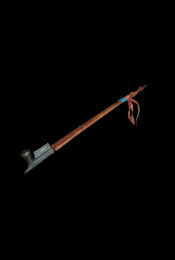 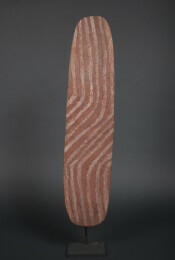 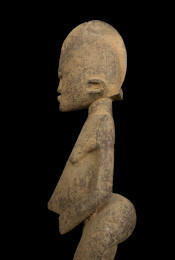 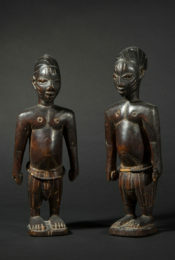 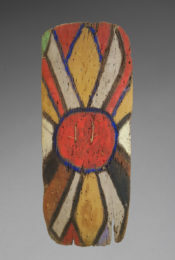 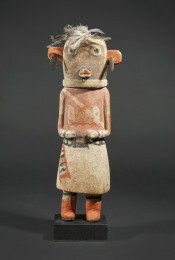 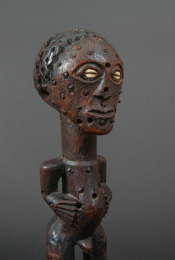 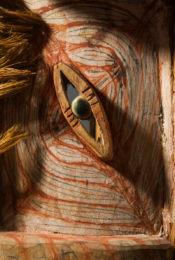 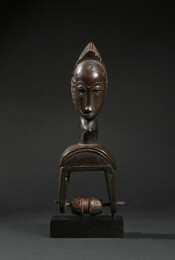 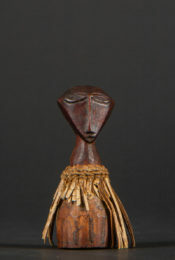 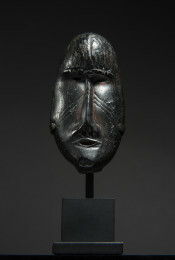 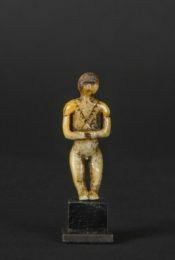 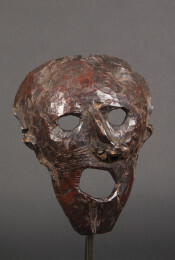 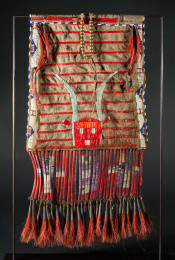 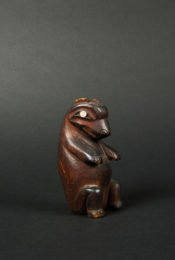 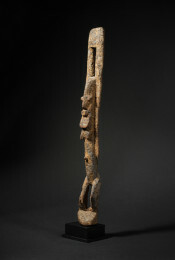 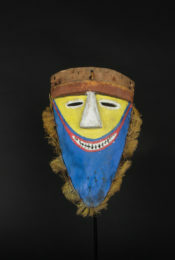 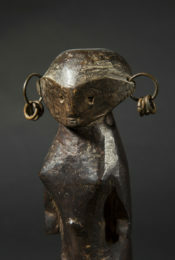 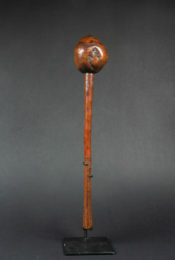 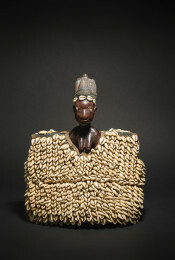 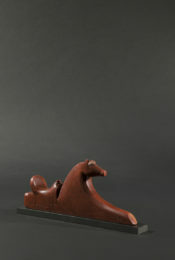 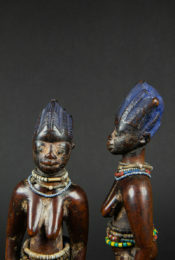 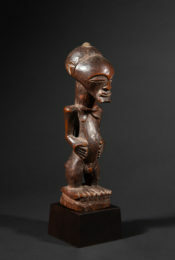 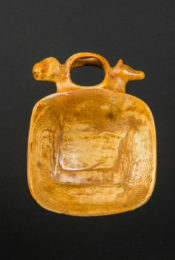 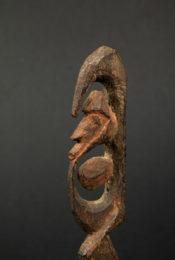 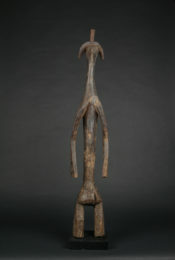 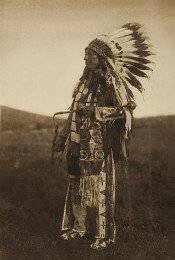 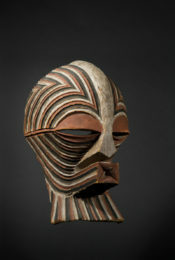 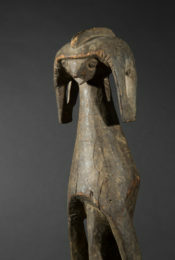 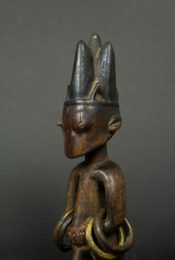 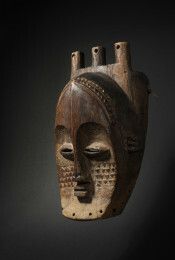 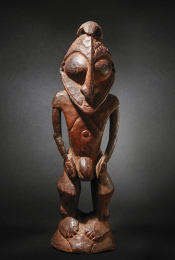 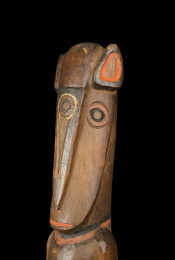 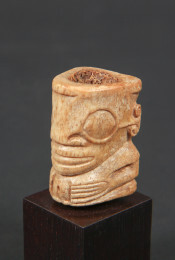 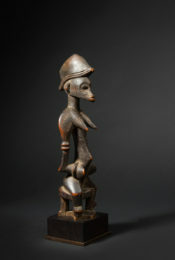 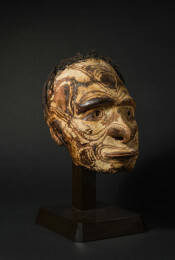 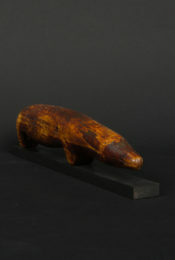 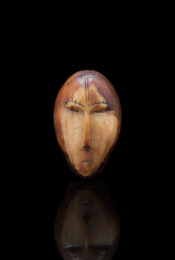 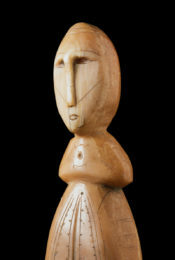 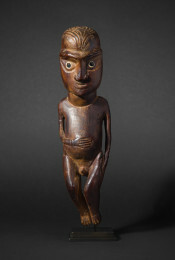 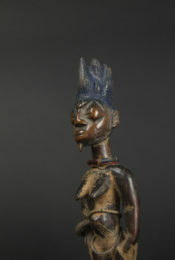 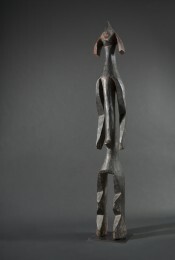 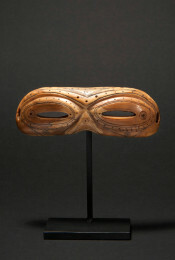 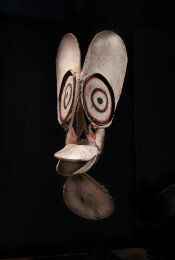 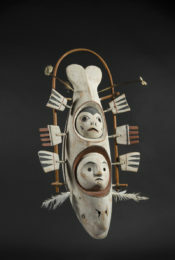 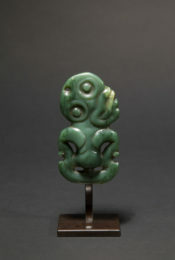 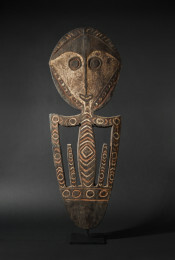 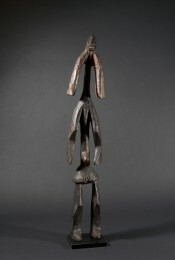 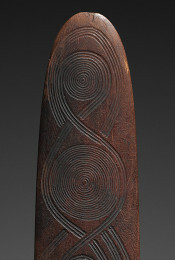 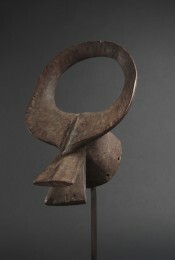 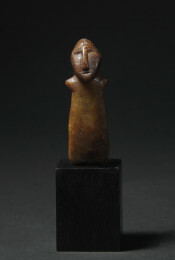 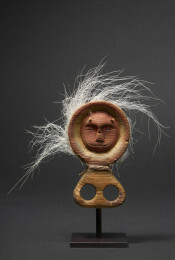 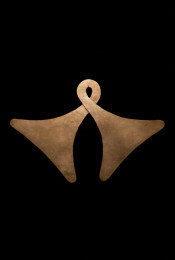 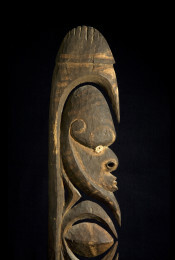 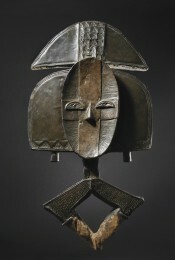 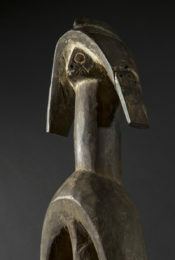 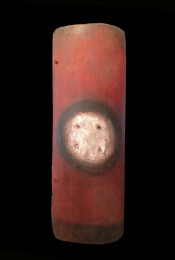 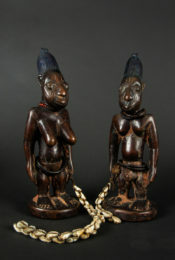 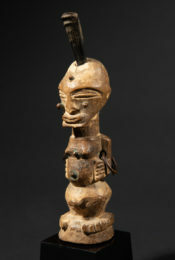 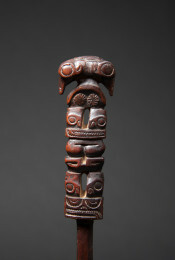 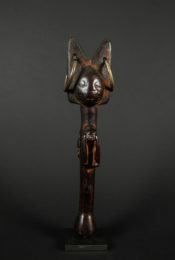 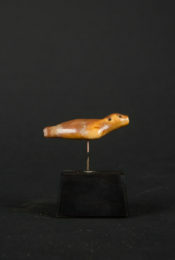 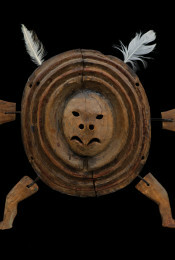 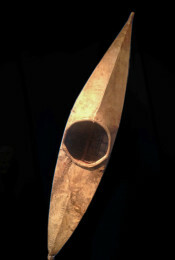 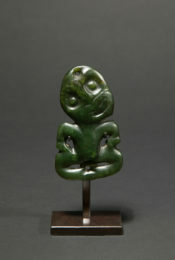 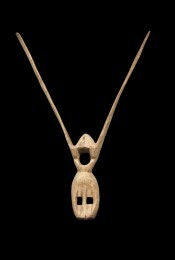 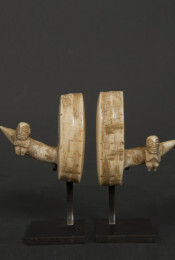 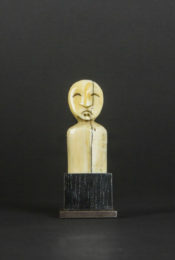 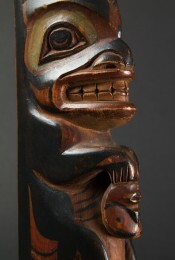 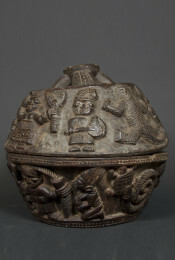 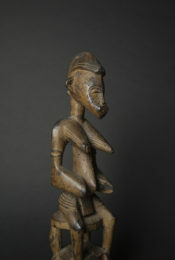 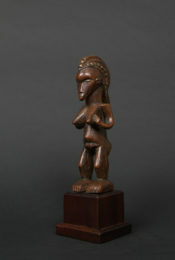 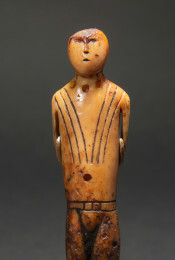 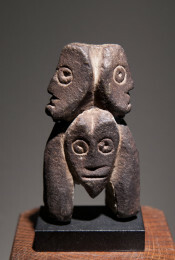 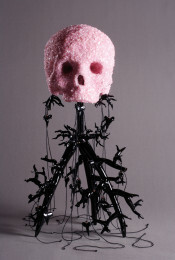 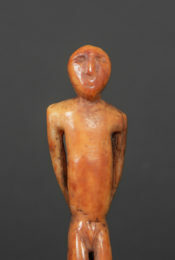 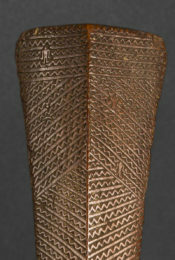 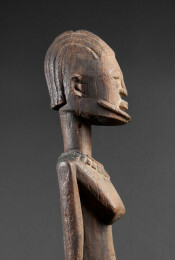 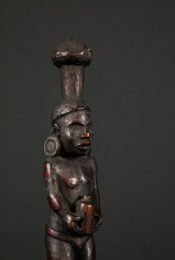 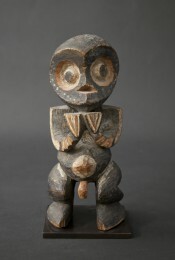 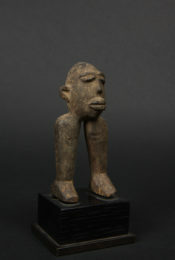 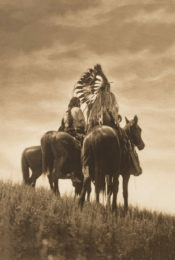 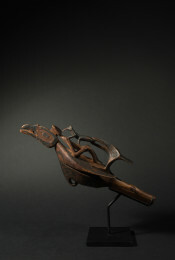 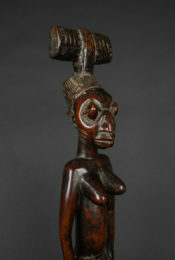 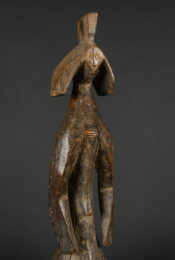 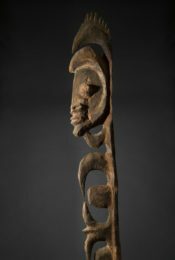 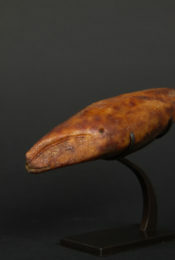 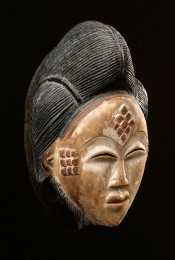 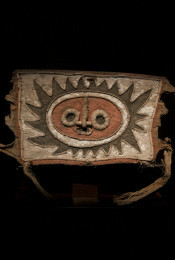 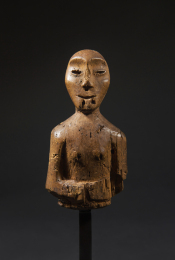 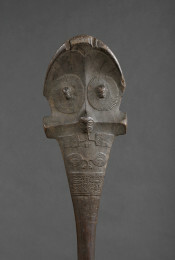 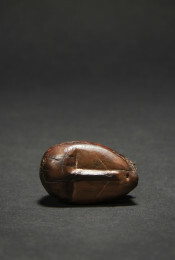 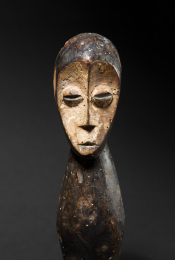 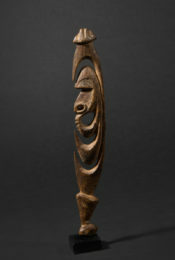 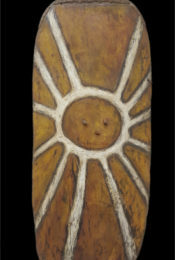 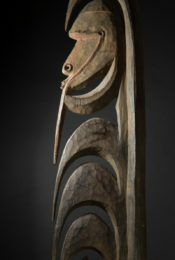 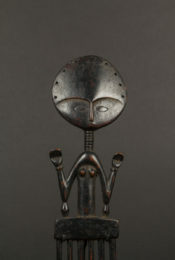 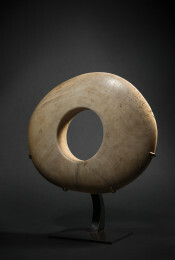 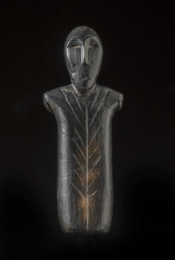 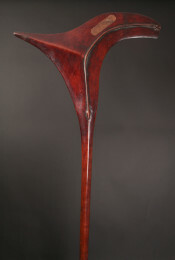 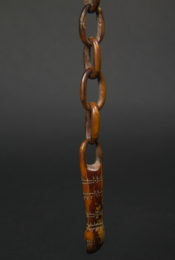 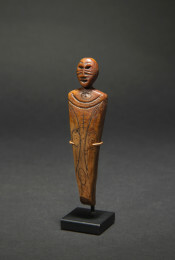 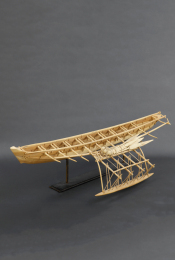 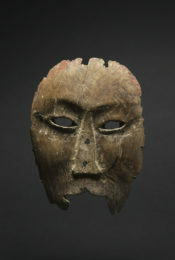 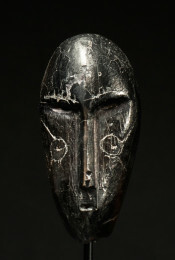 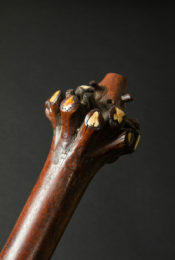 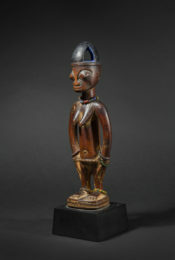 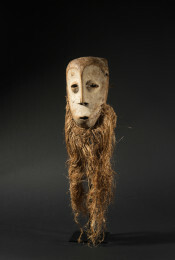 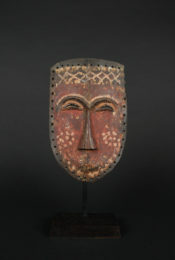 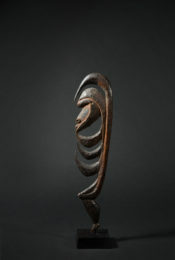 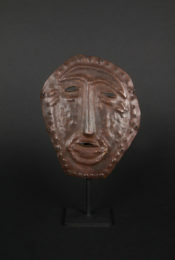 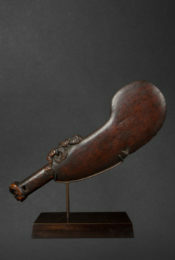 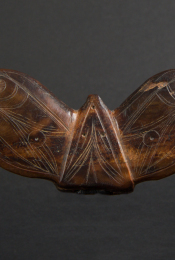 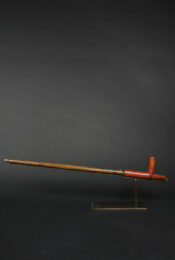 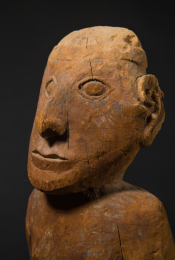 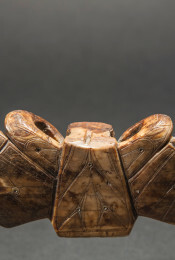 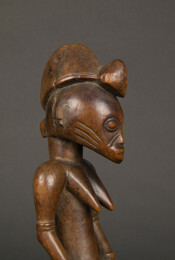 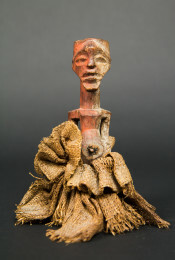 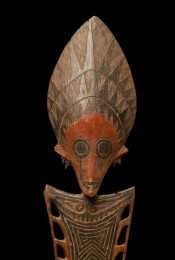 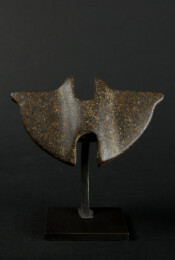 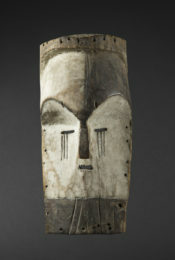 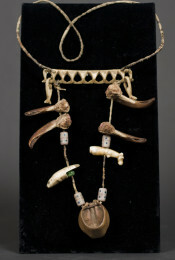 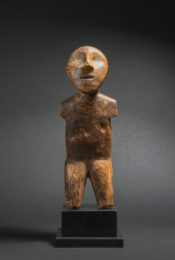 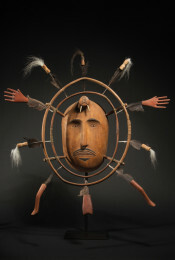 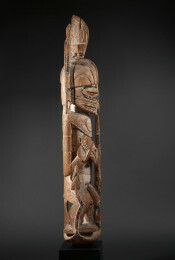 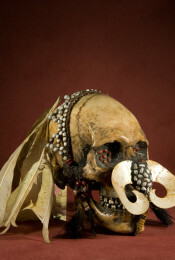 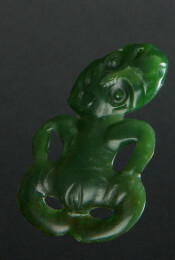 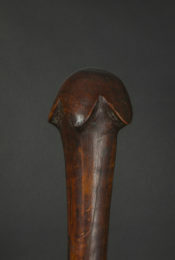 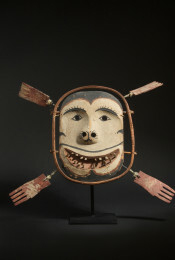 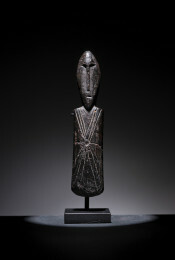 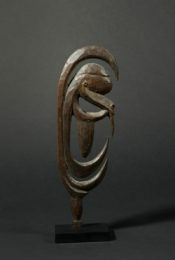 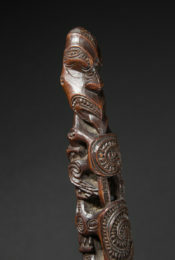 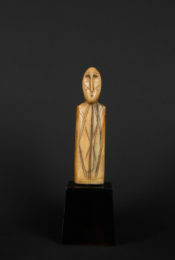 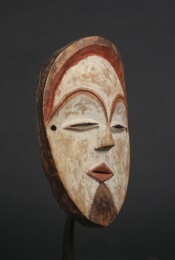 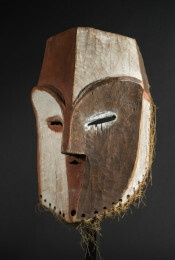 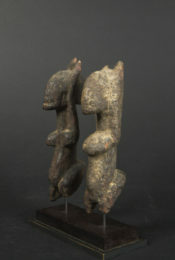 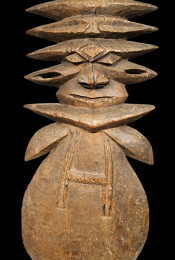 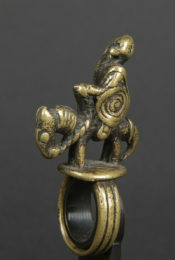 The Yup’ik believed that the carved amulets, through their beauty, attracted the prey and at the same time honored it. 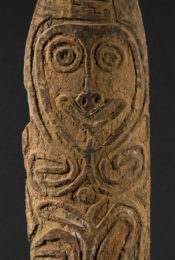 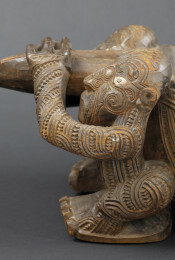 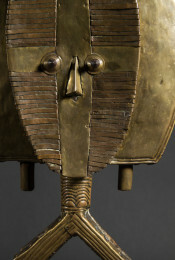 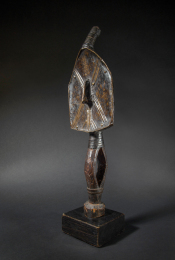 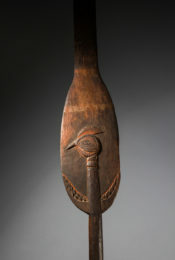 The delicacy of the carved amulets here is to be noted: some are highly naturalistic (the walrus and the bird’s head), while the lateral volutes – symbolically representing the silhouettes of sea birds – verge on geometrical abstraction.